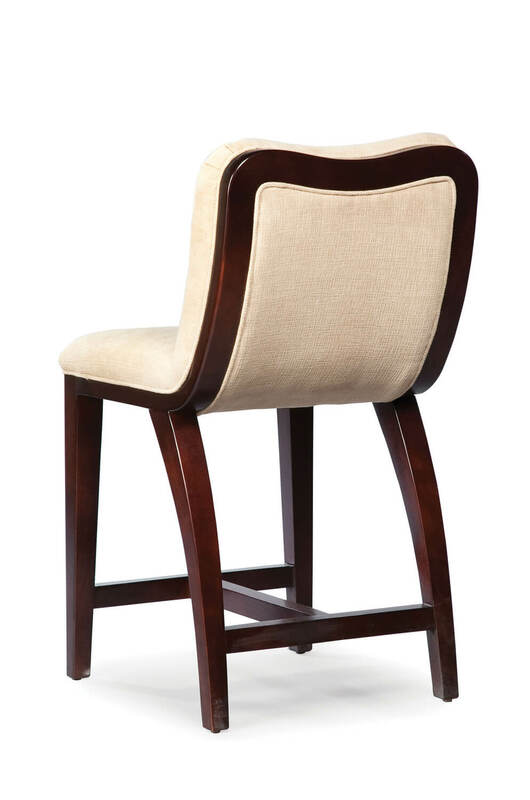 Buy Fairfield's Sherman Upholstered Wood 24-inch Stool - Free shipping! 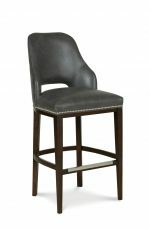 Plunge into comfort with the Sherman bar stool by Fairfield featuring an upholstered heart-shaped backrest, deep seat, wooden base with slightly flared tapered legs, and a metal footrest. On the backside, exposed wood frames the back and flows down to the base for a refined look. 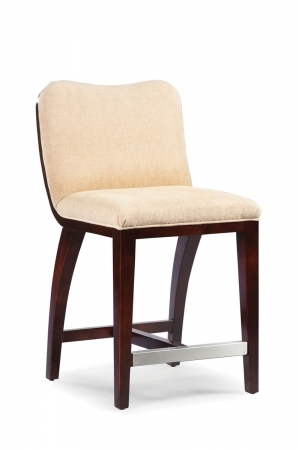 Enjoy lounging around in the Sherman counter stool and place it in your transitional kitchen, home bar, or breakfast nook. 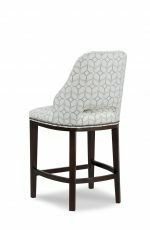 • For the Sherman Wooden Upholstered 24″ Counter Stool with Back, you will need 2.25 yards per chair.